1. 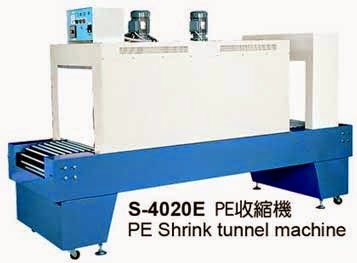 This serious machine adopts heat circulating type tunnel which will have average heating temperature. It has a longer heating oven which is fit the PE film shrink action. 2.The cooling fan is installed in the exit of shrink packaging machine in order to accomplish the perfect shrinking effect. 3.There are two conveyor models to choice—roller type and net type, suitable for big and small products. The net type is option item. 4.Special designed for PE film packaging. It could also shrink PVC, PP, POF,....etc material. But this type of machine cost higher. 5.Auto temperature control can be adjusted for desired temperature.